A major component of medical and scientific work is the collection and interpretation of data. 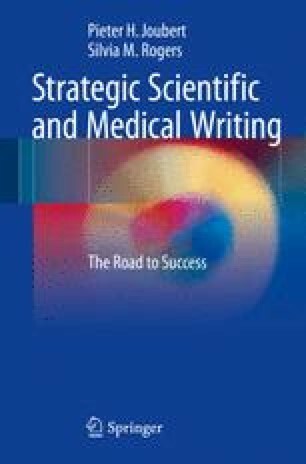 A competent medical/scientific writer should be able to present and interpret data honestly and objectively (see also Chap. 6, Scientific Misconduct). Although there are many good textbooks on statistics, we thought it worthwhile to provide a concise and uncomplicated review of some basic statistical concepts and tests commonly used in the context of medical and scientific writing. Statistics may be defined as a body of methods for making wise decisions in the face of uncertainty.